Located in the popular resort of Playa San Juan, this is a two bedroom apartment of 60 sq m with an open plan kitchen and a good size shower room. It is situated on the second floor and offers good views to the sea and the new infants play area. Being in the center of Playa San Juan, all local amenities, shops, restaurants and the beach are within walking distance. The small complex is well maintained and has very low maintenance costs only 20€ per month. 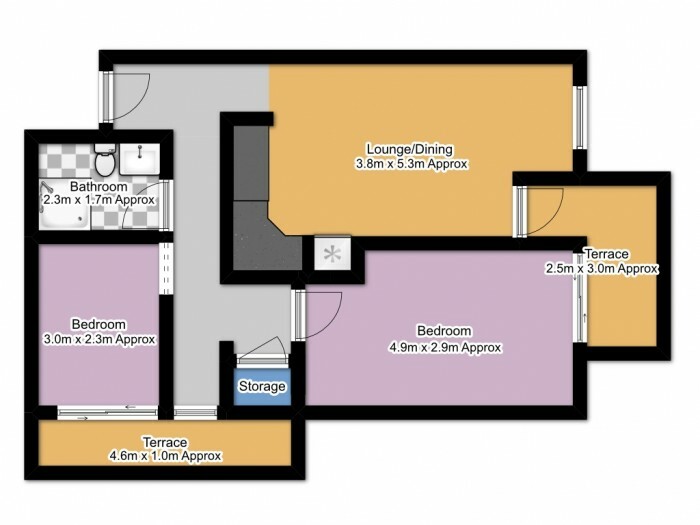 The property is sold partially furnished and is in need of a small amount of refurbishment. An ideal investment and holiday home.